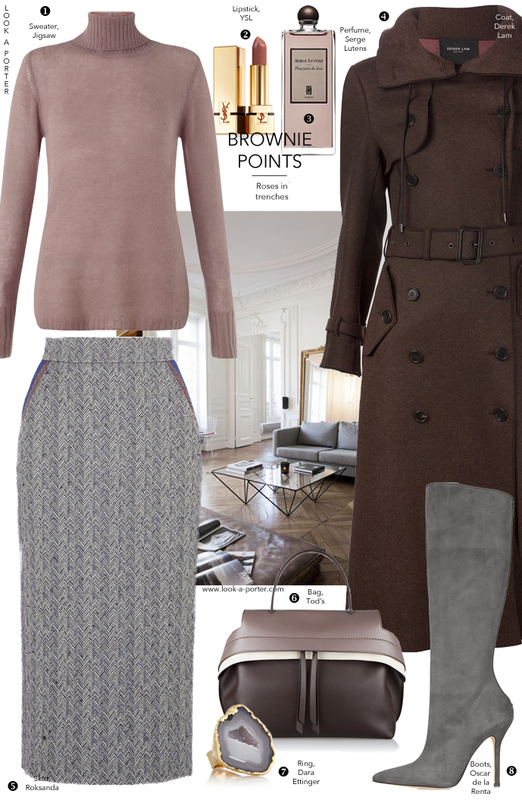 Lets dream up many lives of a perfect cashmere sweater starting with an office appropriate outfit idea - a gorgeous mix of dark chocolate brown, soft grey and dusty rose fluffiness. Warm and chic. Just the way I like it.